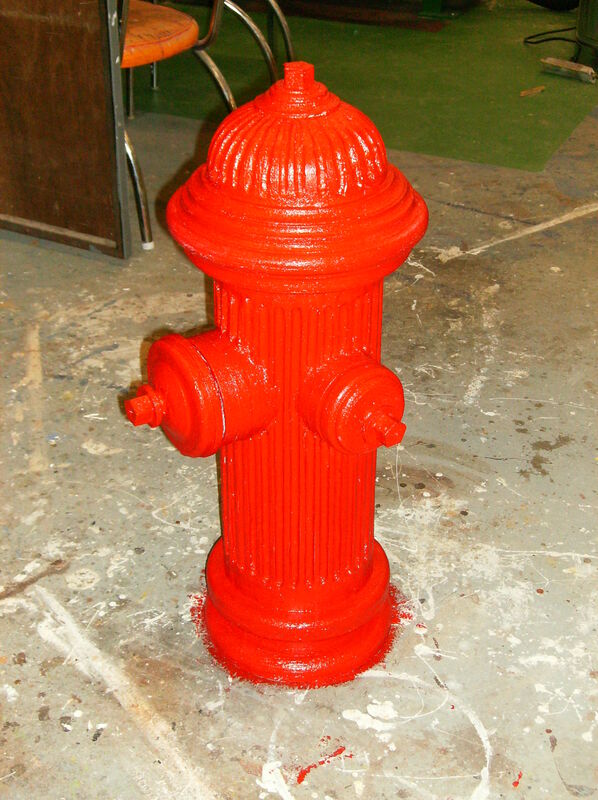 For this production of Rent the scenic designer and director wanted a fire hydrant as set dressing that could be strong enough to be stood/danced on. 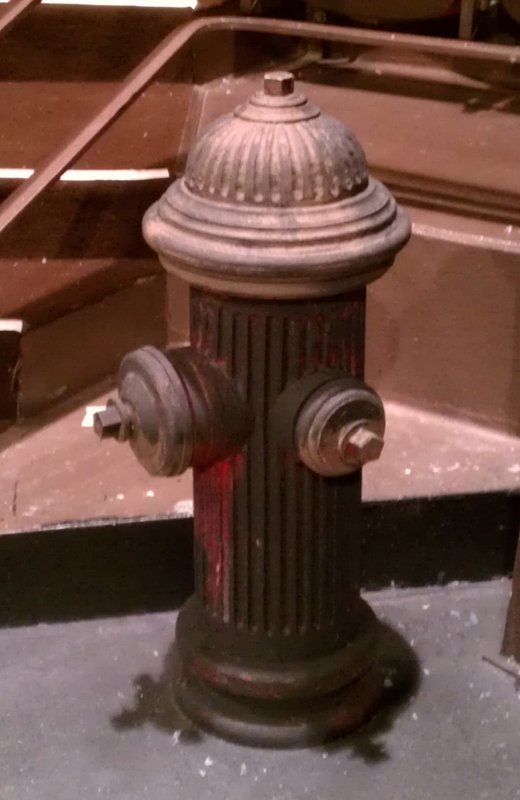 The designer gave me a drawing of a hydrant with a research image of a real NY fire hydrant. 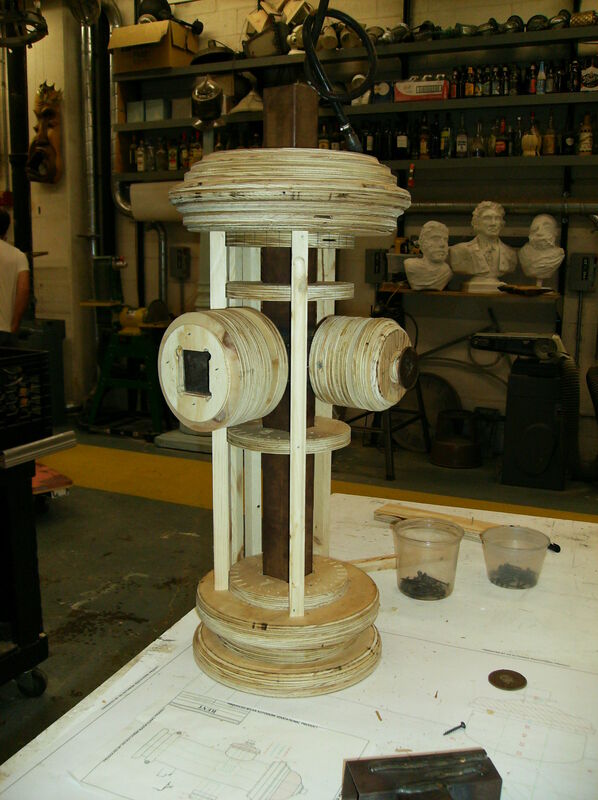 The two items didn’t match so I asked the designer what she was really wanting and we decided that I would design/build something closer to her research. The fire hydrant has a steal center that has two steel arms for the two outlets. 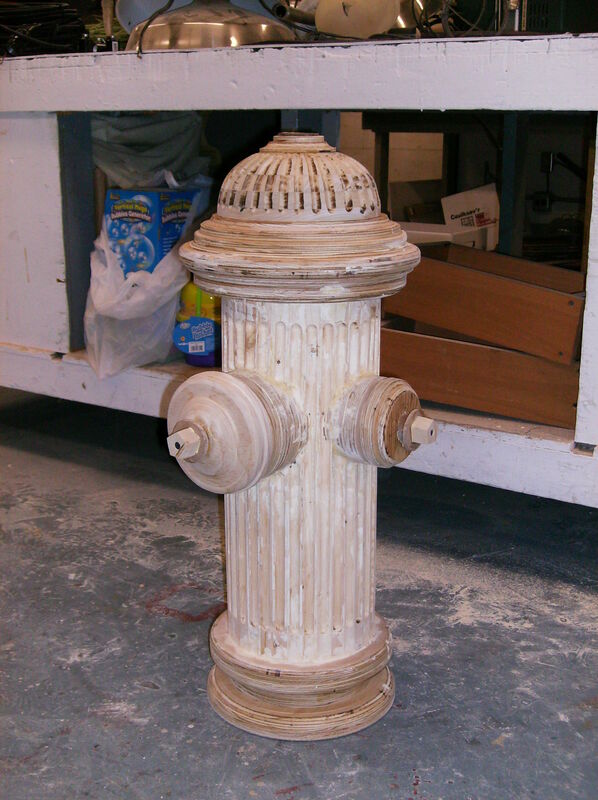 It’s made from mostly plywood disks that were cut on the CNC router and then had edges routed on some pieces. 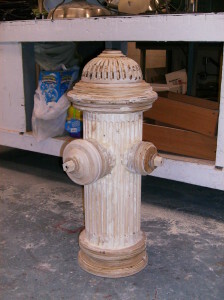 The vertical fluting was made from individual pieces that were also routed. When assembled, the unit is fairly heavy but is super strong and withstood the abuse of the show, and other productions since.